A team of dedicated and passionate professionals are behind our mission to reduce food waste in the hospitality sector. In less than four years we have grown from a small team in London to 40 people (and counting), currently operating in more than 25 countries. Since 2013 we have worked with hundreds of different kitchens. Throughout our journey, we have inspired thousands of chefs to work together to reduce their waste. Consequently, we’ve also learned some valuable lessons to help you optimise your kitchen’s workflow. Welcome to Winnow’s Insights - a monthly blog series created to share some of the challenges we’ve faced, and lessons we’ve learned. In the fifth edition, we interviewed Ashna Tanna, Compass Global Implementation Lead at Winnow’s HQ in London. With a background in environmental consultancy, experience with account management, and great concern towards sustainability issues, Ashna has inspired hundreds of Chefs, Operation and CSR professionals at Compass Group UK & Ireland - UK’s largest contract caterer. Before moving to London 3 years ago I had done nothing related to the hospitality industry. My passion for sustainability started with the environmental industry. While living in my home country, Canada, I was an Environmental Biologist, and then specialised in Aquatic Biology for the Federal Government. When I moved to the UK there was nothing in the marine sector that sparked my interest. I decided to get a job with the Sustainable Restaurant Association, mainly because I fell in love with their mission of assuring restaurants are serving great quality food in a way that isn’t costing the earth. At The SRA I was able to combine my passion for sustainability, food, and the environment. That’s how my involvement with the hospitality sector began. How did you end up at Winnow working as Compass’ Global Implementation Lead? When I was working for the SRA I was offered the opportunity to join a Mayor of London project called Food Save. It was a project to get small to medium-sized enterprises’ to join a four weeks food waste audit for free. We put the Winnow system in these restaurants for a baseline period of one week and worked with them to see how we could use the Winnow system to impact their production line to reduce food waste. By the time the program finished I was very familiar with the Winnow system and I knew the team well from our close partnership. Towards the end of the Food Save project, I met Marc (Winnow’s Co-founder) and Madalena (Head of Operations) and they offered me a position on the Operations team. I didn’t want my journey of helping solve the global issue of food waste to end with the Food Save project, so I was delighted to take the opportunity. How was the transition from being a client to working at Winnow? How did it help in your current job? It was the easiest job transition ever. As a client, I was always giving feedback to Winnow about what was working and what could be improved. It’s great to know that our client partnership gave the team the data to further develop the system, enabling us to be at the point of where we are today. 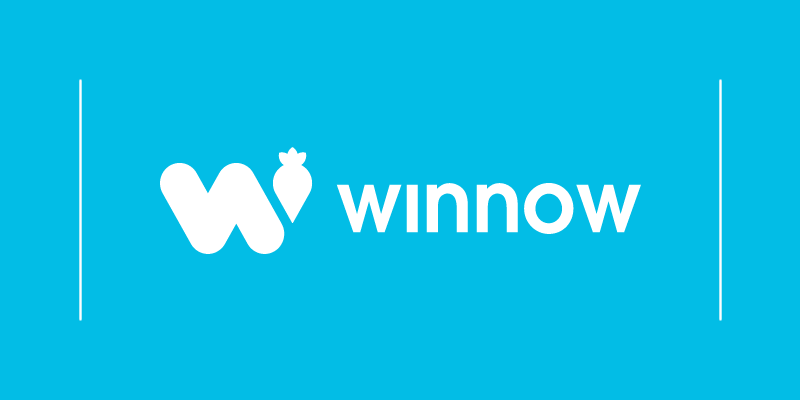 It has been extremely interesting to see Winnow going from an early stage startup to a now being deployed in 26 countries around the world. The best part of my job has to be the people, the clients who challenge me in new ways and the Winnow team who have become my second family . Firstly, it is really inspiring to get to work with people of all levels within an organisation and seeing how Winnow can impact their lives. It is either seeing the kitchen staff earning extra time so they can do what they love, or helping the Head of CSR reaching their sustainability targets. All of it is equally rewarding. Secondly, I feel so privileged to get work side by side with people that are so different and so talented at Winnow. We all come from different backgrounds, but we are here because we have something in common: We want to solve the problem of food waste. How has Winnow’s technology impacted the hospitality industry and waste reduction efforts? In only four years, Winnow has already impacted the hospitality industry in several ways. The Winnow system is one of the first solutions to solving the food waste problem in the sector. The system not only allows people to acknowledge the fact that food waste is a serious issue, but it shows them solutions to reduce it. Winnow has given some of the largest companies in the sector the ability to make significant cost saving and make a large dent in tackling this problem together. The biggest challenge is overcoming people’s resistance. With our clients, when we embed the Winnow system within their operations we need to have in mind that it is a process change, and therefore resistance can be huge. There are several reasons for resistance and change management can be a challenge, but the most valuable way of overcoming it is showing the users all the benefits of using technology. Also, we need to show them how simple technology can be. Breaking down the entire process into small actionable goals is a great way of not making new technology look scary and overcomplicated. How do you achieve the collective buy-in of the kitchen team members to use Winnow’s technology? With hearts and minds first. It will be overwhelming if we go into a kitchen and just give orders. But, if we inspire them by showing the bigger picture, the rest is just the “icing on the cake”. When people understand that food waste is one of the world's most serious issues and that we need to urgently solve it, they naturally feel like joining the movement. We then show them how easy it is for them to make very small changes that will lead to big impacts. What are some of the interesting feedback you have been receiving from clients? Being able to work with Restaurant Associates (RA) has always been great. Their clients are some of the Worlds largest companies, that can normally offer a large amount of money to receive top quality services. Influencing them and making them change in order to reduce food waste can be very difficult. But, with our reports, RA has been able to report to their clients how much food they waste when cancelling an event at the least minute, or ordering expensive ingredients and failing to confirm guests number. Changing the menu offer, or the lead time for an order to be cancelled are simple changes that can reduce food waste dramatically. For me, it is a huge victory to see our clients going back to their clients to impact and inspire them. I work exclusively with Compass Group, which has been one of our largest clients since the beginning of Winnow. We are now deploying the Winnow system to 500 sites across Compass Group, but we started with only a dozen. Through this journey, we have worked extremely hard to improve the technology and prove the business case. For me, it is amazing to see that a large corporation sees the value in us and believe that the Winnow system is the solution at helping reduce food waste on a global scale. What’s your piece of advice to operations looking to reduce food waste? First, acknowledge that food waste is a problem. 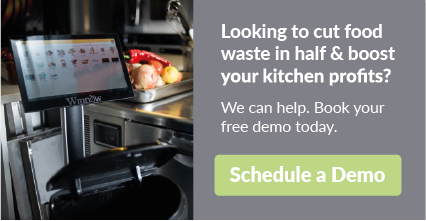 When we first install Winnow, many people don’t even think that food waste is an issue in their kitchen. It is so important to quantify the waste in order to start to grasp how it can be tackled. Kitchen teams can start small by even disposing their waste in plastic bags, or discussing what are the top items of waste, and gradually by using metrics and team engagement food waste will be reduced.